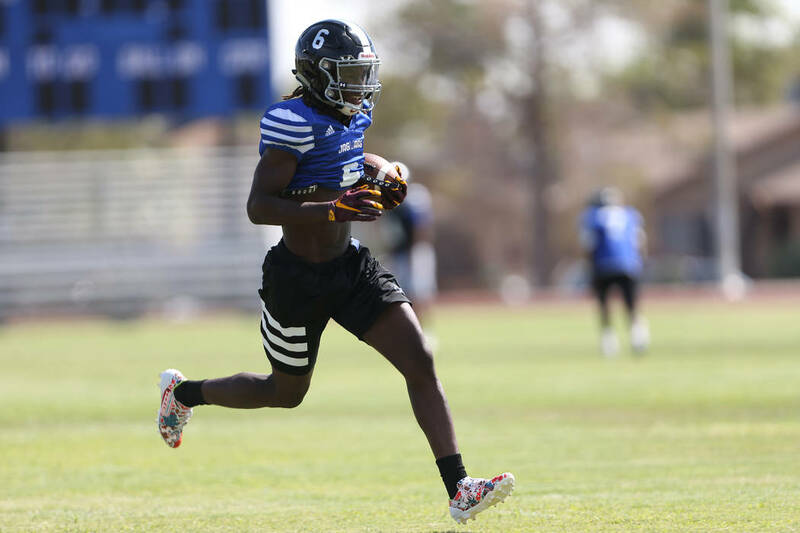 Cameron Wiley, a 6-foot-2-inch, 195-pound tailback, has started his quest to prove that he’s one of the state’s best runners after sitting out the 2017 football season as a transfer from Silverado. Desert Pines senior Cameron Wiley skips the conventional pregame music playlists in favor of motivational speech videos from the likes of Ray Lewis. As if he needs more motivation. Wiley, a 6-foot-2-inch, 195-pound tailback, has started his quest to prove he’s one of the state’s best runners after sitting out the 2017 football season as a transfer from Silverado. He toured colleges across the country in the summer before committing to Minnesota in mid-July. 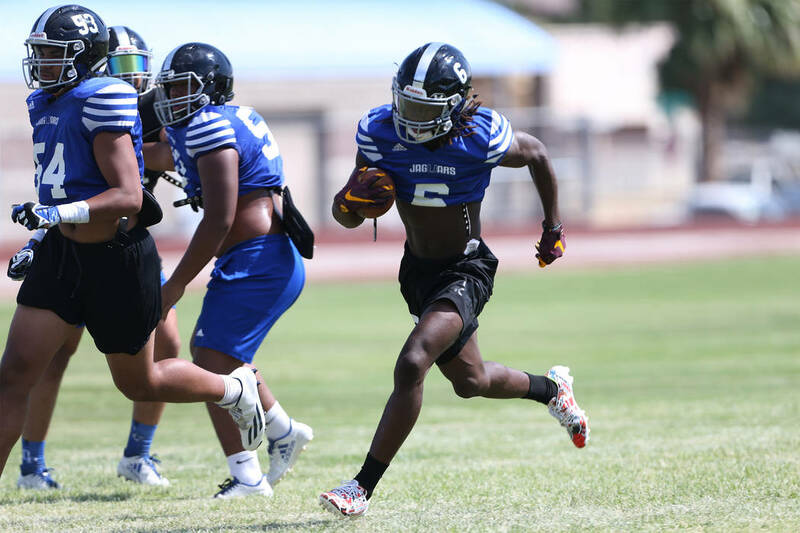 And though he rushed for a modest 70 yards in the Jaguars’ 12-6 victory over Durango in their season opener Friday, the chiseled Wiley thinks he has more in store for the Las Vegas Valley. Wiley, who grew up in Las Vegas, began playing running back at 9 and developed his virile frame through hundreds of hours of rigorous strength training. He left the Skyhawks for Desert Pines after a sophomore season in which he played wide receiver and formed a strong relationship with Jaguars running backs coach David Hill, one of the area’s most well-connected assistants. 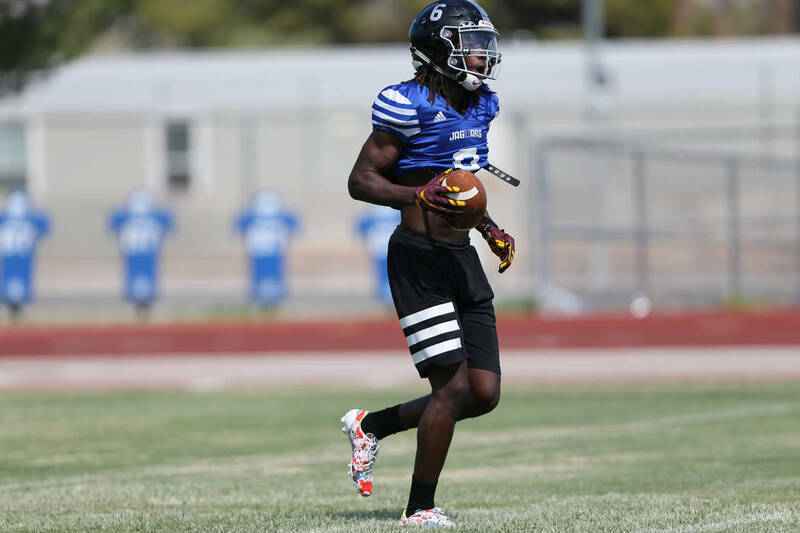 Wiley’s recruitment wasn’t slowed by his year of inactivity mandated by the NIAA’s transfer rules. He practiced with Desert Pines last season and focused on adding speed to his powerful frame. Wiley power cleans 275 pounds, bench presses 285 and squats 485, and he runs a 4.4-second 40-yard dash. He selected Minnesota from a pool of 13 scholarship offers — several Power Five offers among them — and eyes a spot in the backfield next season. But first, senior year and the expectations that come with it. Faith Lutheran sophomore Ma’a Gaoteote is the No. 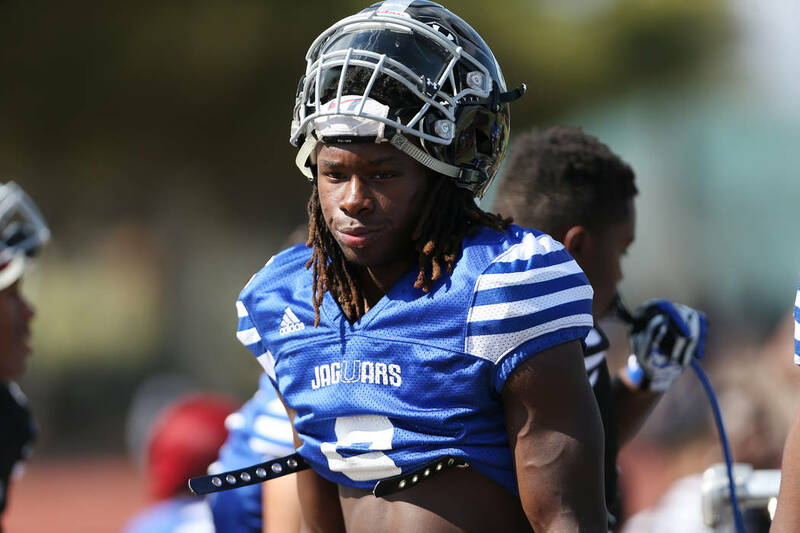 21 player overall and the top-ranked outside linebacker in the 2021 class, per 247 Sports, which unveiled its rankings last week. Gaoteote is committed to Southern California. His older brother, Palaie, was the No. 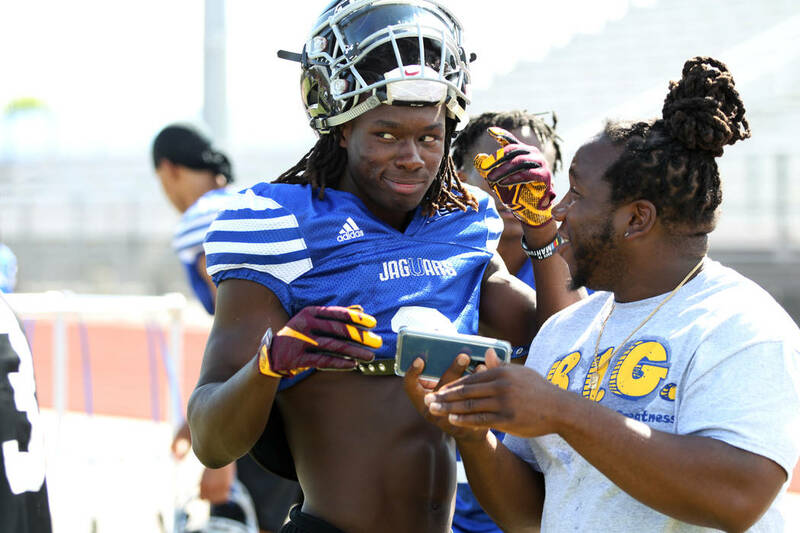 1 linebacker in the country at Bishop Gorman and is a freshman for the Trojans. Bishop Gorman junior outfielder Carson Wells announced his commitment to USC on Twitter on Monday night. It won’t be official until he signs a letter of intent as a senior. Wells hit .412 for the Gaels last season. His older brother, Austin, is a freshman baseball player at Arizona.